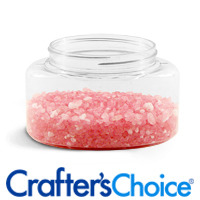 Our Powell Oval Plastic Jars are made with a clear PET plastic. 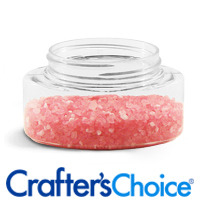 Package colorful cosmetic creations in these jars including body scrubs, whipped body butter, and bath salts. Jars do not come with tops unless stated. A jar and top must have matching finishes to fit. For example, a 58/400 jar needs a 58/400 top.